Temple Sinai, St. Alphonsus Church and St Catherines of Sienna will be hosting an event to explore the evolving relationship between the Catholic and Jewish communities. Join us as the directors of the Institute for Jewish-Catholic Relations at St. Joseph’s University, Dr. Philip Cunningham and Dr. Adam Gregerman, guide a discussion of the significant statements produced in recognition of the 50th Anniversary of the Second Vatican Council’s publication of Nostra Aetate – an opportunity to learn, to respond and to build friendships within our community. Friends, family and neighbors are invited for an insightful and uplifting evening. St. Joseph’s University has provided this conversation about the newest statements on the Catholic-Jewish relationship. “A Genuine Gift of God” – Pope Francis. Internationally, many important statements were issued to commemorate the 50th anniversary of the Second Vatican Council declaration, Nostra Aetate (“Declaration on the Church’s Relationship to Non-Christian Religions”), which made possible a new and positive relationship between Jews and Catholics. Join us as the Directors of the Institute for Jewish-Catholic Relations, Dr. Philip Cunningham and Dr. Adam Gregerman, guide participants in small-group Catholic-Jewish dialogue about portions of the fascinating new statements. RSVP’s are encouraged so that we may adequately prepare for the evening. Respond [email protected]. I’m the product of a Jewish father and a Catholic mother. While my father had a bar mitzvah ceremony, and I was brought up in a primarily Jewish neighborhood, I had no formal religious upbringing or training. What I learned about Judaism, I learned from my friends who were b’nei mitzvah, and my neighbors who observed the Jewish holidays and attended synagogue. When I was 18, I left home for college, and for the next 40 years was totally divorced from any religious affiliation or practice. While I have had a successful career, married a wonderful woman, have two grown children that I am very proud of, and have good friends, I have expressed the feeling over the last several years that there was still something missing in my life. My wife, a Presbyterian, encouraged me to explore and take the first steps to rediscover the “faith and rituals” I had experienced as a child living in a Jewish community. Mother and daughter lighting Sabbath candles. I decided to take a course in introductory Judaism and Hebrew sponsored by the Conservative movement and taught by local Conservative rabbis. It is a 30-week course that is taught annually at Temple Beth Hillel-Beth El in Wynnewood, Pennsylvania. Many of the students who took the course were there to convert from the outset (mostly because of marriage commitments). I did not make the decision to convert until I had almost completed the course. What I learned from this course was that the beliefs and principles that took me almost 60 years to formulate, are the tenets and practices, and the moral and spiritual compass that Judaism provides. As importantly, this course provided me with the tools and foundation to move forward on my journey. 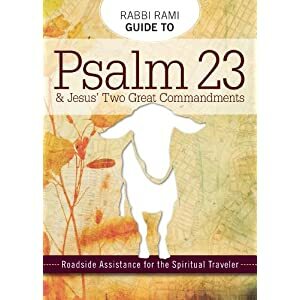 I am now studying with a rabbi, attending services regularly, and incorporating the lessons learned from this course into daily practice. The overall experience from this course has been transforming, both intellectually and spiritually. The practice of Judaism nurtures me, and provides me with the fulfillment and guidance I have searched for. Editor’s Note: Charles has successfully completed the Introduction to Judaism class, and will soon be taking the step of formally converting. The Rabbi Morris Goodblatt Academy is a 30-week “Introduction to Judaism” course sponsored by rabbis of the Conservative movement in the Philadelphia region. The next cohort will begin on Wednesday, September 14, 2016. The course is designed for Jews and non-Jews, singles and couples to learn more about Judaism (history, language, culture). Interested students have the opportunity to convert to Judaism under Conservative auspices following successful completion of the course. The Reform movement also has an Introduction to Judaism class. I recall one year when I was serving as a Hebrew school teacher, I was provided with a book to use in teaching Jewish history. It was a volume of a two-part series, the first part on Jewish history before modern times, and the second on Jewish life in modern times. The author, Abba Eban, had chosen a particular date to use as the demarcation between modern and pre-modern Jewish life: July 4, 1776. At first I thought it was strange that the author would choose the founding of a country which at the time had at most 3000 Jews in its population as the event that defined the beginning of modern Jewish life. But, as the author pointed out, on July 4, 1776 the United States of America became the first country in modern times to grant full citizenship to Jews. That made it the beginning of a new era in Jewish history. To be sure, the United States was marked by many other limitations then as now. In particular, the new society which promised religious liberty also practiced slavery. Racial biases continue to afflict us to this day. But at least on July 4, 1776 a step was made towards creating a national political structure built on the assertion that a society could thrive when it first allowed individuals to participate with all their personal diversity. Individuals did not need to be what their government told them they needed to be. Rather, the government was to be shaped by society’s individual participants in loud and raucous conversation. So has been the ideal, yet to be achieved. But on July 4, 1776 – in Pennsylvania, no less – a step was taken towards the attempt, and the world has not been the same. Since 1790 many attempts have been made to give voice to this vision and to advance it. Also many attempts have been made to roll it back. All of this continually provides the context for many struggles within our society, and the work of The Interfaith Alliance of Pennsylvania.